Library Business Services processes purchases and contracts for office supplies and equipment, furniture, technology hardware, software, industrial supplies, webinars and professional services. We process accounts payables and accounts receivables. We manage space and equipment inventory and surplus, statistics and various financial reports. Our office coordinates with the offices of Purchasing and Contracting Services, Business Affairs, Budget and Resource Planning and Sponsored Projects Services. 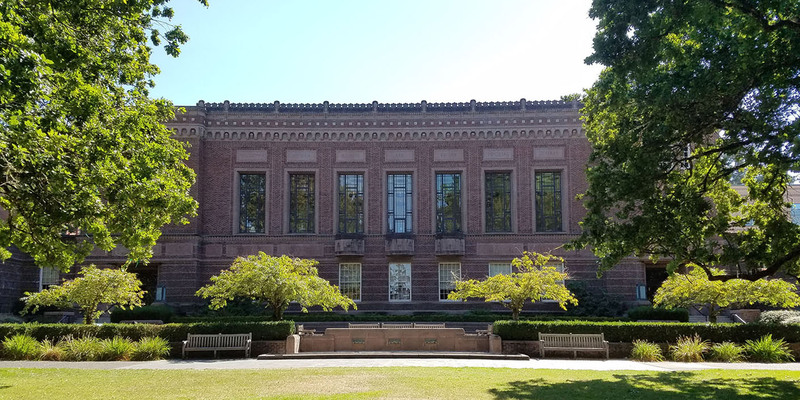 Library Facilities Services monitors the condition of the Knight Library and performs or coordinates maintenance, repair, safety and security services. We coordinate building remodels, upgrades and moving projects. Services include custodial, moving furniture, hanging art, painting, signage and vehicle maintenance. Our office coordinates with Campus Operations, Campus Planning, Design and Construction, UO Police Department, and Safety and Risk Services. UO Libraries' mail room staff organizes incoming and outgoing shipments and deliveries from vendors, patrons, and libraries. We perform a daily route to McKenzie Hall, Design, Science, Math, Law and Global Scholars Hall libraries. We schedule office and heavy furniture moves and surplus property pickup. We coordinate and maintain loading dock and warehouse activities and security. For urgent service after normal business hours and on weekends, call the University of Oregon police non-emergency dispatch number: 541-346-2919.